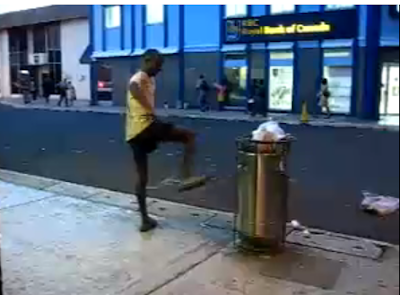 Forgive me, but I had to share cause this video of a vagrant in the capital of Castries, St.Lucia had me dying last night. ... And the boys laughing in the background, I was crying! Read the caption too, "Boy after mate beat up dat (garbage bin) we had to run cuz he came straight for us....lol"